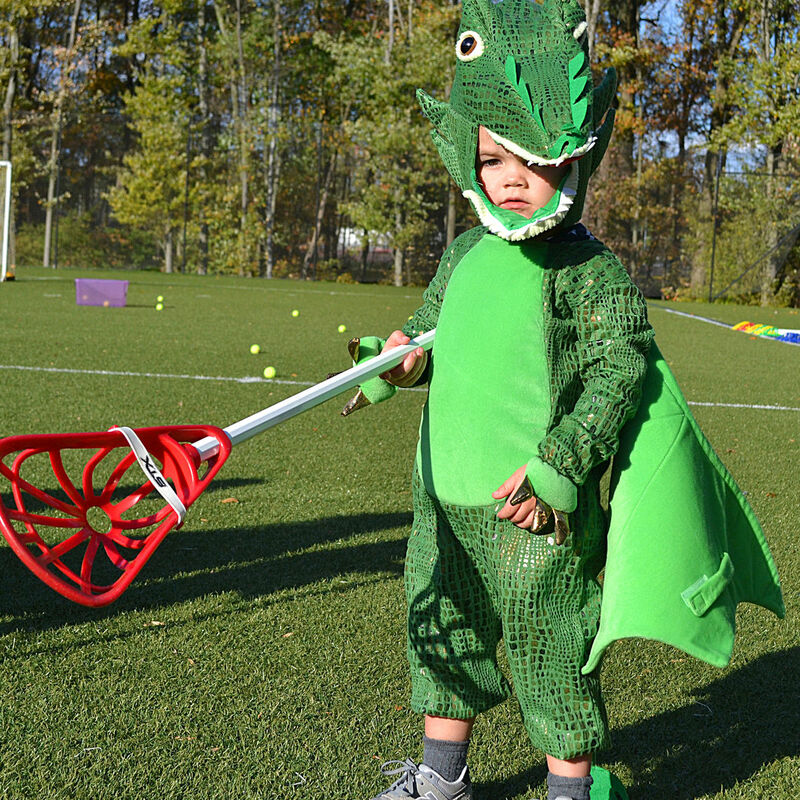 Cradle Lacrosse is NXT's ultimate intro lacrosse program for 4-8 year olds! Cradle Lacrosse is NXT's intro program that teaches basic skills in a one-of-a-kind, unrivaled environment. Cradle focuses on building players' confidence and having success through its unique curriculum. NXT's passionate coaching staff breaks it down for kids by combining lessons with activities and games to reinforce skills. Cradle Lacrosse Training in the fall & spring seasons are 1 hour sessions that take place over 6 weeks. Cradle Lacrosse Camps run each summer and are half day camps from 9 AM - 12 PM, Monday through Thursday. Cradle is perfect for boys and girls ages 4-8 who have never played lacrosse and want to have a positive first experience. Our age-appropriate curriculum is designed to break down basic lacrosse skills in a simple, fun way. Cradle is also a great training program for players who are new to the game and want to continue to develop. We break into groups by age & skill level to make sure all players are challenged. Players learn proper grip, cradling and get comfortable practicing these skills on the move. We demonstrate how to get low, scoop up and run through ground balls! Players feel success practicing in different drills. Players learn proper catching and throwing form and apply these skills to various drills and games. We break down different dodges from the roll dodge, split dodge, face dodge and stutter step. Players learn telescope aiming, power foot and follow through, and put all the skills together practicing shooting on cage. Players learn the value of teamwork in sports, communication and sportsmanship. Don't have a stick? No problem! We have beginner lacrosse sticks for anyone to use at each session. We also use tennis balls for all activities to build confidence and have players feel success while learning the sport. All you need to bring is a water bottle and lots of energy! Our coaches know the game and bring the energy! They have experience playing in college, playing professionally, coaching high school, coaching at the collegiate level as well as having backgrounds as teachers and educators. All of our Cradle Lacrosse coaches are PA 153 certified compliant and background checked. Does my child need their own lacrosse stick? • We provide beginner sticks for players to use each session. I saw that equipment is provided, but can child use their own stick? • We will notify families via email if there is a scheduling change due to weather. Most likely we will add an hour to one of the remaining sessions or extend the program a week. Can my child and their friend be paired together? • Yes, we split into groups based on age and skill but certainly accommodate friend requests. Just let us know! If my child really, really doesn’t like it after the first week can we get a refund? • Yes, we can work with you in the event the session doesn’t go as planned. My child is 8 and has some lacrosse experience, should I sign them up for Cradle or Play Fast? • We’re happy to have a conversation in order to find the best fit for your son or daughter. Most likely, you child would be a good fit for our Play Fast training but feel free to contact one of our Directors to talk through skill level and placement.